LITTLE ROCK—Fourteen teachers teacher from eight Arkansas schools were recently recognized as 2018 Bessie B. Moore winners for excellence in economic and personal finance teaching during the 23nd Annual Bessie B. Moore awards luncheon Nov. 7. The gala at the Great Hall of the Clinton Presidential Center in Little Rock was hosted by Economics Arkansas, a non-profit educational organization that promotes economic and personal finance literacy among Arkansas PreK-12 students. They each received cash awards and a copy of “The Bessie,” a 7-inch statue created on a 3-D printer by the Arkansas Innovation Hub. 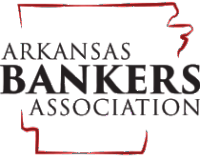 The 2018 gala luncheon was sponsored by ArcBest Corporation, Arkansas Bankers Association; Arkansas Department of Education; Arkansas Farm Bureau; Friday, Eldredge & Clark; Farmers Bank & Trust Magnolia; Bob Hamilton; Hart Tackle Company LLC; Horatio State Bank; Landmark PLC, Munro & Co.; UA Little Rock College of Business and Jim and Renee Wooten. Economics Arkansas launched the Bessie B. Moore Awards program in 1995 to honor exemplary teachers for successfully integrating economic principles into the classroom. The contest is open to educators PreK-12 from public and independent schools in Arkansas. To enter, teachers submit written descriptions of their projects, which are reviewed and judged by an independent panel of economic education specialists. The winners receive cash awards and plaques. Up to 10 awards are presented each year. The deadline to enter is typically in early to mid-July. More information is available here. Note to media: Photos of the winning teachers are available upon request.